As most of you already know about The Amaretto Community website (https://www.theamarettocommunity.com not ran by Amaretto but by myself and Bazza) today I want to tell you all about a NEW website that Bazza and I have been working on over the past few weeks! The Amaretto Family (https://www.theamarettofamily.com) is an extension of The Amaretto Community. So why the 2 websites?, Well let me explain why. 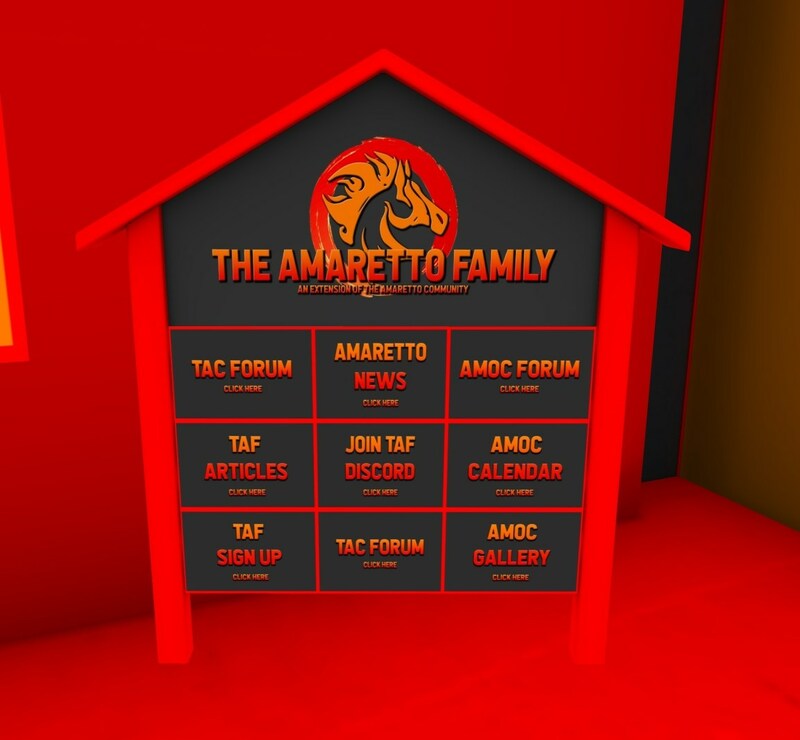 Firstly, The Amaretto Community (TAC) website is not going anywhere, It will still be used for sharing new traits/showing off the goodies you get in-world and keeping everyone up to date. However, the “community” features of the website were relatively complicated and not very clean and easy to use for the average user, and this showed by the lack of community features, it also was buggy at times with registration and also password resets. So we have taken the decision to disable registration and the membership mechanics on the TAC website. If you had an account on there you will no longer be able to log into it. 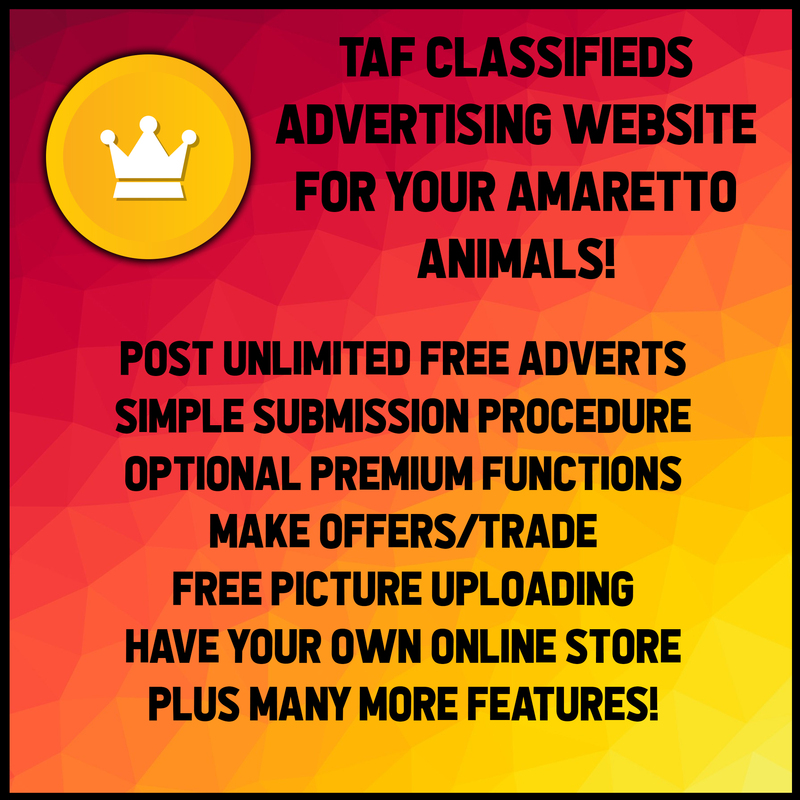 The Amaretto Family (TAF) website is a separate platform to TAC. TAF uses software that is widely adopted across forums and communities. 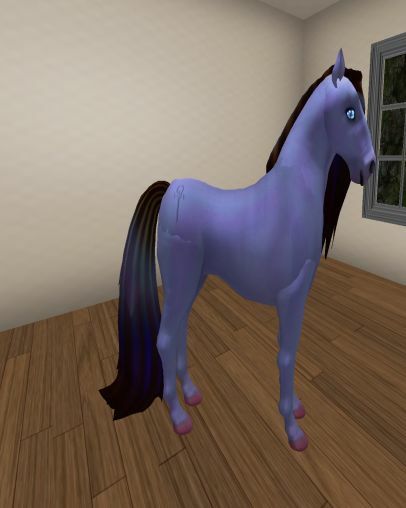 The official Second Life forums run on this very software. It is much easier to register, adjust profiles, reset passwords and take part in the community. One very useful feature is full integration with Discord – We will be taking the step to rename our Discord channel to “The Amaretto Family”. This platform is years ahead of the previous so we encourage you all to sign up and join in! – We are still working on adding everything so keep an eye on this site over the coming days. We also have plans to add some exciting new features to the platform over the coming weeks/months! We also have a new sign for TAF which can also be picked up for free at the same location! 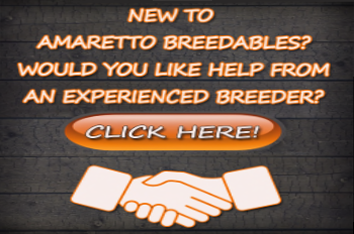 Are you a new breeder in the community? 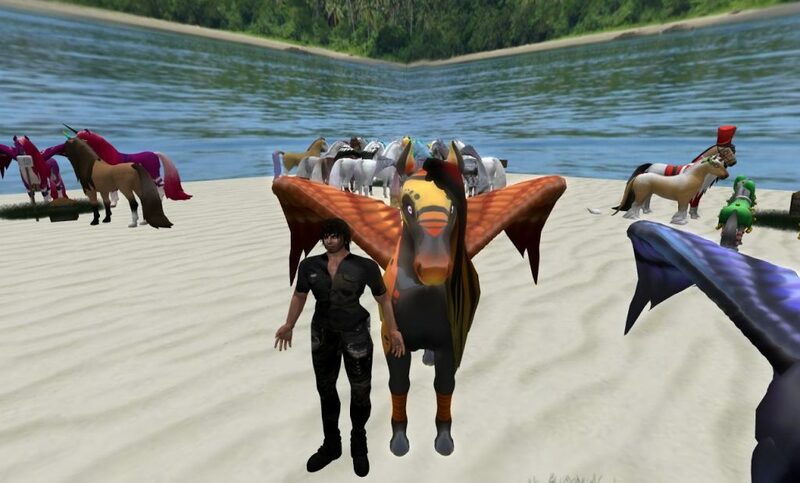 Or, did you ever just wish you had someone that could help you understand your breedables better? If so, then let me tell you about the Amaretto Mentor Program. 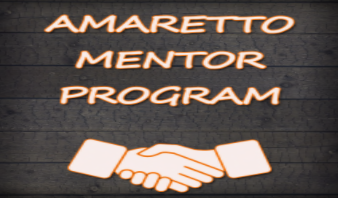 The idea for the Amaretto Mentor Program was created by our wonderful staff and the breedable community via the A.M.O.C. group meetings. It has come to life to help anyone in need of information and guidance from an experienced breeder. Q: How do I get a mentor if I am in need of some help? A: Click the “Need Help” board at either of the locations listed above. You will be sent a group invite as a mentee. A: Click the “Become a Mentor” board at either of the locations listed above. You will be sent a group invite as a mentor. These mentors are not Amaretto staff, just giving people who are willing to help with issues and questions one might have when breeding Amaretto animals. Our university offers a wide variety of classes at different times during the day to get vital information about our breedables, support system, website, advertising and much more! So please, if you haven’t yet, check out our university sim and website. This week I had the pleasure to interview Demonessa Afterthought so if you see her in the group please give her a big hello as she is always helping out in the group. I am from Saskatchewan Canada and a friend already playing second life told me about it and suggested I try it. All 3 at the moment. I was a bit bored and search exploring enter a search word start tp’ing around..when i saw my first horses I had to find out more about them. Usually I am trying something or other my mossms are my new side breedable. For me it is always trying for elementals, zodiacs, galaxies, confections, albinos and of course the flavor of the month …this years crazed. Other than those I just try to play match the traits. 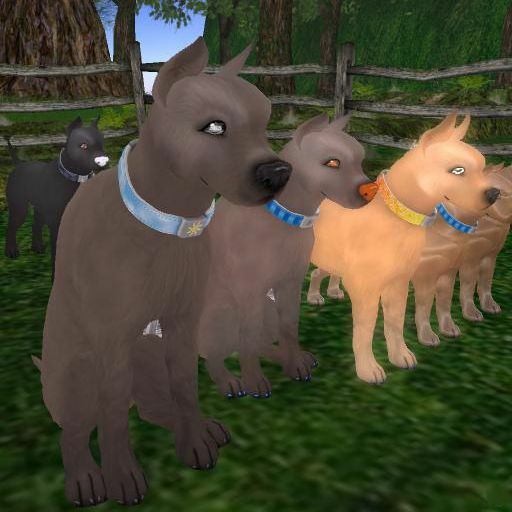 I have the crazed set breeding of course but I am also trying for wolf mutts or blancos so far no success lol. What special projects are you working on right now with your Amaretto BarnYard Bird ? I do not really have a project here. i just breed about 4 at a time and see what i can do with them. The Amaretto horses will always be my fave. I am including some pictures of Demonessa special Amaretto Breedables. Yesterday I stopped by th Forever Sacred Ranch to find out about the auctions held here. 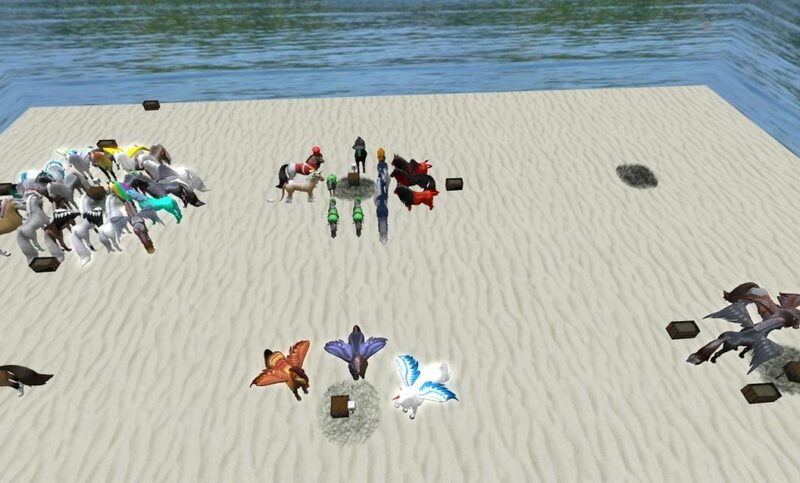 I meet 2 wonderful people, AnastasiaCapri Resident (Tasha),(FSR Boss Kid) and siamesecat1 residentis (FSR Head CSR), and they are really delightful people to chat with!I found out that they had a Italian/English Auction scheduled for today, so I went over to the auction! There were lots of beautiful Horse there! Dalu called the Auction in Italian, and Yuka posted the stats in local, so both Italian and English speaking people could follow the auction with ease. 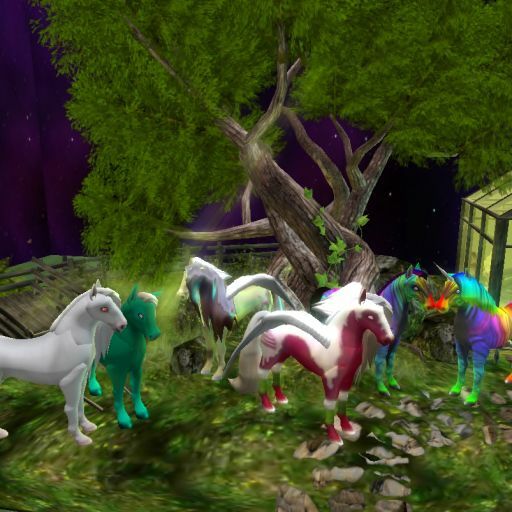 Wednesday 1.30pm slt (Regular Auction) Yuka & Dalu.. 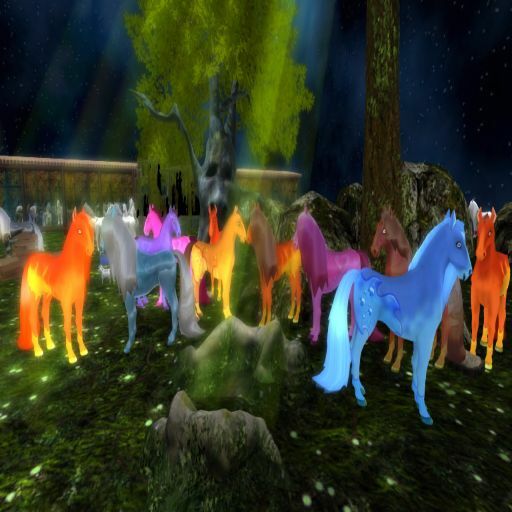 So after the auctions check out this awesome market and stop by the Amaretto Horse Store for all your breedable needs! This week I had the privilege to interview Jeff Melendez! I know you all know him from the group. I have to say he does give most a fun time (or is that a hard time) lol! Anyway he is a great guy so if you see him in the groups please give him a big hello! What special projects are you working on right now with your Amaretto Barnyard Bird? Playing SL football with my friends. So there you go now let’s see how long Jeff can stay off Dakota’s naughty step LOL! Thank you Jeff for letting me interview you this week! This week I had the pleasure to interview Sparkie1478 Resident! He is in the group often helping out so if you see him be sure to say hello! I blame my SL sister Emmie Highwater for that. Yes but I enjoy Amaretto best. 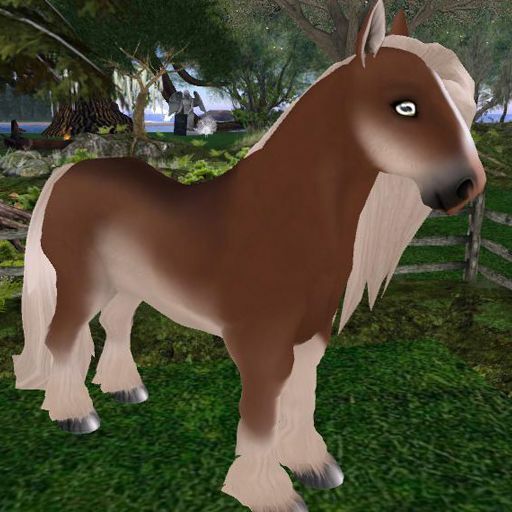 I have included some pictures of Sparkie’s favorites Amaretto Breedables. Unil next week ! Happy Breeding !! This week I have chosen Durgama Greatrex to interview about her Amaretto Breedables, So, if you see her in the group chat tell her hello she is always helping out in the group! 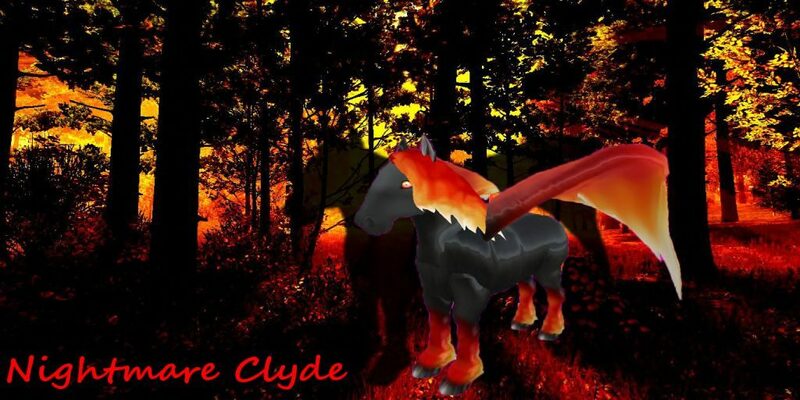 I am Durgama Greatrex and since 8 years on Second Life. I am trying to live a spiritual life in rl and sl. I see no difference. We are all real ppl behind our computers. I live in Holland and saw about SL on tv. What interested me most was the ability to create and make your own world together with other people. So I started to learn and make all kinds of stuff especially clothes and work with Photoshop and later sculpt and mesh. From Amaretto I never tried the dogs and the farm birds. Its all a matter of choice for me. Well my first horse was a present from a friend and the horses were just out since a few month. Since those days I have Amaretto horses. The one horse needed a partner and the first bundle was amazing. 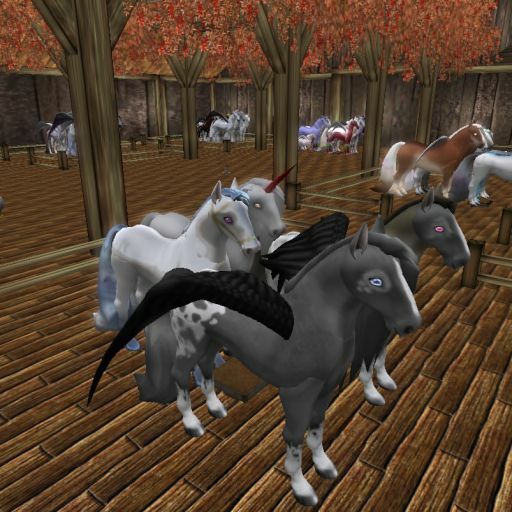 Since those days I have always had Amaretto horses and somehow they will always be part of my SL life. I tried other breedables like Mossms and Meeroos and there are a lot of nice ones that I love. I still have some around. Since some time I help with the dodo’s and help designing. 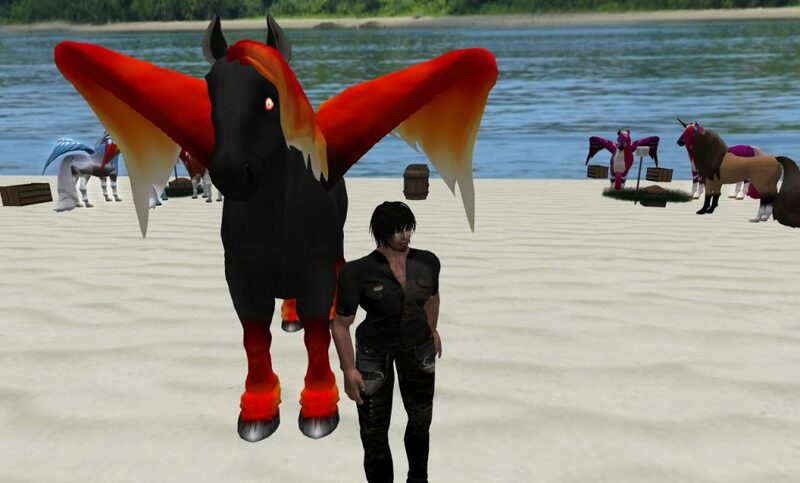 Now I don’t have so many horses as I used to have once but the specials I breed is trying to get the 24 traits Pegasus. And I am almost there. And another project is the rainbow traits on white walkers. I have them with 6 rainbow traits. They are so lovely. I stick to what I like and try to focus on making things. For me beauty and creativity counts and connecting to ppl. I love it to meet ppl from all over the world. Thanks Durgama Greatrex for letting me interview you for this weeks blog !